Preservative chemicals in your Christmas tree water may be harmful to your pet. If you have only put water in your Christmas tree stand, the water is safe for your pet to drink. Pets drinking the Christmas tree water will mean you have to refill it often but the water isn't toxic if there are no chemical additives. Don't let pets drink from the Christmas tree stand. Preservatives can be toxic, and so can pine sap. My dog is drinking the water in the Christmas tree basin. Is this toxic? This is a recent thing. He has kidney disease so I'm thinking it may be medicinal. Could it be harmful to him ? 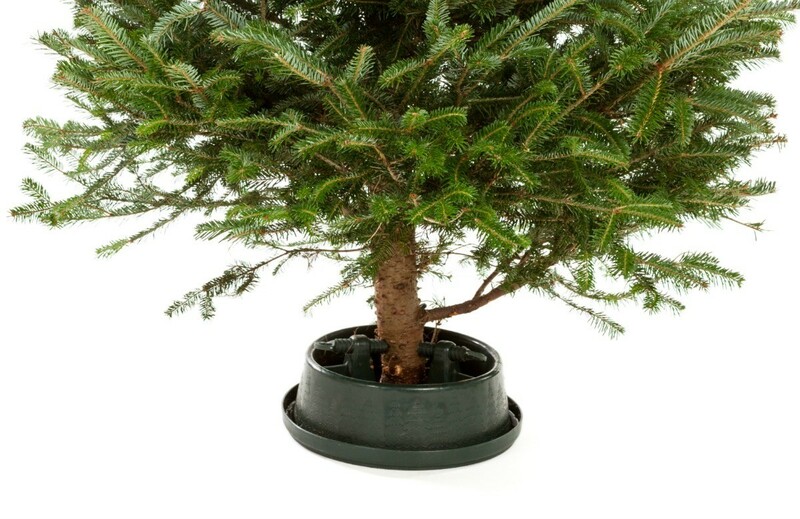 Christmas trees are fertilized to make them grow faster. They also are sprayed to keep the pests and blight off them. This leeches into the water! To keep the dog out, take a plastic lid, such as a margarine or ice cream pail lid. Cut a slit to the middle, and then cut out a circle in the middle the size of the tree trunk. 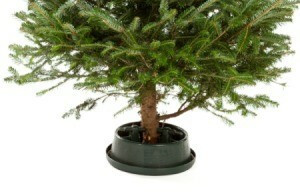 Slip this around the tree trunk and lower it so it covers the water container. You may have to tape it down to keep the dog out. Place a plastic bag covering the tree stand, tape it down to prevent the dog drinking. If you put anything in your water to preserve your tree a pet can be harmed. Also for cats, please forget the tinsel and other stuff they might play with and eat. New kitties and puppies don't mix with the holidays and all the confusion! Wait till calmer times to get a pet. Ever try to house break a puppy when it's below zero? Better yet, if your child wants a pet, give them a picture. When the time is right, go to a local shelter to adopt. Yes, it's toxic. The water must be covered up. Possibly your dog feels that this water is fresher than the water in his bowl. I recently read that a dog's water should be changed 3 times a day.